The Adamas was designed by Shane Sibert. 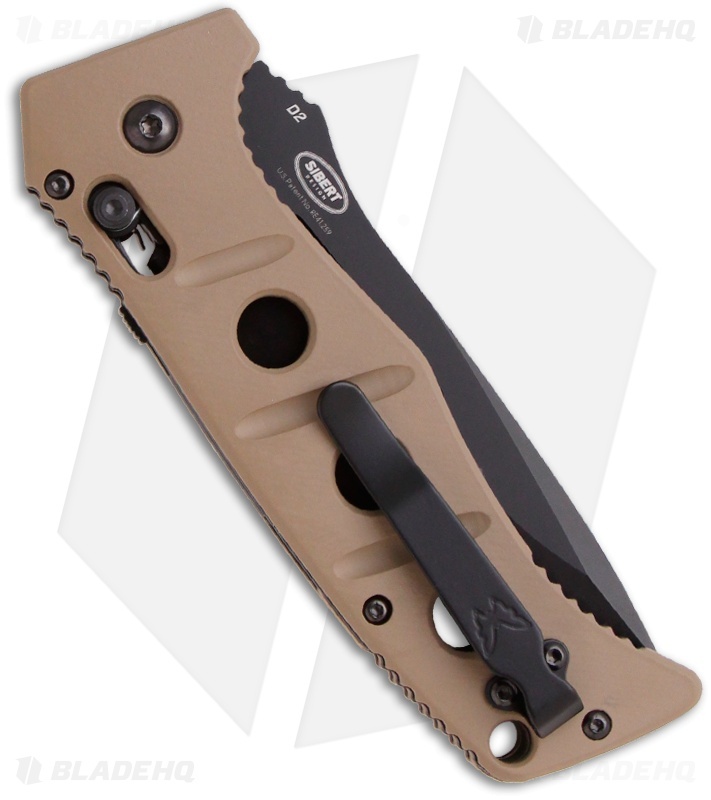 This automatic knife features a black finished D2 tool steel blade with a plain edge and desert tan machined G10 handle with lanyard hole and full stainless steel liners. Auto-Axis lock mechanism, and a reversible tip-up carry pocket clip. The Benchmade 2750 Adamas, supports Ranger Assistance, and a portion of the proceeds will be donated to the Ranger Assistance Foundation! This knife is very definitely robust. Very well made with attention to fit and finish. When it actuates you know it .... its like the whole Company comes to attention. This a great knife, good attention to detail as expected from Benchmade. Very positive action and lock up. Sharp out of the box. Body is rock solid and blade has no play in it when deployed. Another Fantastic Knife from Benchmade. Keep up the good work!!! This knife rules. Maybe a little too big for edc but it's still in my rotation. This knife is so tough when its extended it may as well be a fixed blade. 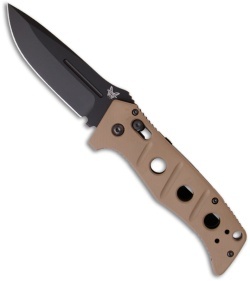 Good job benchmade. Favorite knife I own, period. If you could only own one knife for the rest of your days it should be this one. This is the toughest blade in my collection. I own the fixed blade Adamas and decided to try this blade out. I find it to be just as reliable as the fixed blade. The blade arrived sharp and it's not very hard to keep sharp. I know that some people don't believe in carrying large knives as an EDC but I've got no problem carrying this blade every single day.